After the Milwaukee Bucks failed to reach a contract agreement with forward Jabari Parker before the deadline in October, it was clear that they were hesitant to sign him to a major contract before first seeing his level of performance coming off a second ACL tear in his left knee. Now that Parker has returned and played 20 games, we have a better glimpse of what the future holds for him as a basketball player and athlete. So far, he has thoroughly exceeded expectations. Looking at Parker’s offensive efficiency, he is scoring a surprising 11.8 points over 21.7 minutes per game. He is doing this on 51.4% overall shooting with 37.8% on threes, both of which would be career highs for a season. His athleticism passes the eye-test, and with high honors. Watch some of these dunks, and you’d almost believe the knee injuries never happened. His defense still leaves ample room for improvement, and is probably the second biggest question mark behind his knee problems. However he just turned 23 last week, and with the right coaching he can become an average defender, which is truthfully all he needs to be for the Bucks to be successful. What you get with Parker is a mostly offensive package, and that’s part of his identity as a player. Parker will enter restricted free agency this summer, where other teams will have the opportunity to throw major offers at him in hopes of prying him from Milwaukee. The Bucks then have the right to match an offer should he receive one. Because Parker has played so well, it makes the Bucks’ decision whether to pursue him as a permanent franchise cornerstone an easier one. He has shown that he is still able to compete at a high level, and the knee injury doesn’t seem to have seriously hurt his athleticism. The Bucks have a great opportunity to secure a game-changing talent without having to compete with larger markets. He has also expressed on several occasions how much he enjoys living in Milwaukee. The city is close to his hometown in Chicago, but far enough where he can get away and experience a different place. He summarized his love for Milwaukee and how much he enjoys driving around the city in a Player’s Tribune article he wrote earlier this year. On his draft night in 2014 he was so bold as to say he wanted to “be a throwback player and only stick with one team.” Of course, you can never fully trust any player that says they want to stay with a team forever, but verbal affirmation is much more promising than nothing at all. Giannis Antetokounmpo has also frequently asserted his love for the team that drafted him and the city that took him in as one of the most beloved athletes in the state of Wisconsin. Talented players who want to stay in Milwaukee don’t grow on trees, and it appears the Bucks drafted two in Parker and Antetokounmpo. However, Parker’s impressive recovery is a double-edged sword. With his value primed for the free agent market, it’s more likely that other teams will be willing to take a chance on his knee in exchange for the huge upside he brings to the table. Parker would immediately be the best player and centerpiece for a future core on a rebuilding team like the Bulls, Hawks, Nets, etc. This means that if the Bucks want to sign Parker to a new contract, they will have to pay the same as teams looking to make him the new face of their franchise. It’s likely that prior to the extension deadline, Parker’s agent demanded the maximum or close to it hoping that by some stroke of luck the Bucks would be foolish enough to give in. The understandable reality was the Bucks didn’t want to pay max money for an unproven player with questions about his knees, and Parker’s camp didn’t want to sign a smaller contract only for him to come back and show that he really deserves more. Contract extensions in the fall are reserved for a select handful of players and don’t necessarily indicate any rift between parties. Now that we have seen Parker and he appears to be back on the path towards a great career, what are the Bucks’ options for signing him to a new deal? Looking at Joel Embiid’s contract could give a rough blueprint for how the Bucks could possibly achieve their goals of both retaining Parker and mitigating the long-term injury risk. 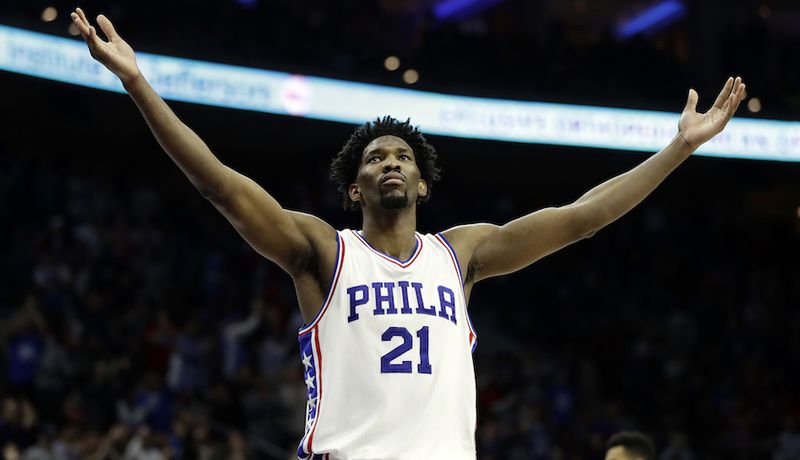 When Embiid signed a five-year deal with Philadelphia 76ers last October, he had only played in 31 games over three years of being in the NBA. Embiid missed time due to a persistent foot injury, and had previous concerns with his back. His extension gave the Sixers an option to release the injury-prone Embiid if he were to suffer one of the many specified injuries in the contract. Parker has also had to miss significant time since being drafted in 2014. Two ACL tears in his left knee have limited him to just 172 games over four seasons, including this one. While Parker hasn’t missed quite as much time, his injuries are more concerning than Embiid’s. ACL injuries are typically more difficult to come back from than back or foot injuries, and Parker has already suffered two in his young career. He appears more susceptible to suffer future knee injuries given his already troubled history. That isn’t to say back injuries haven’t ended the careers of several prominent NBA players, such as Tracy McGrady and T.J. Ford. The only problem with this comparison is that Embiid’s deal was an extension of his rookie contract, and since Parker will be in free agency, the Bucks might not have the liberty to throw in extra injury clauses. If Parker signs an offer sheet with another team that doesn’t feel the need to include injury clauses, the Bucks will be forced to take him on the terms of that deal if they still want him at that point. With Parker and Antetokounmpo locked up for the foreseeable future, the Bucks would have a strong core to form a championship level team around. They also have young players like Malcolm Brogdon and Sterling Brown, who have both proven to be great picks out of the second round. That leaves the Eric Bledsoe and Khris Middleton’s situations to figure out. Bledsoe is guaranteed for one more year, at the end of which he becomes an unrestricted free agent. Middleton is on a cheap contract by today’s standards, on which he is owed $13M through next season, with a player option for 2019-20 that he will likely decline in favor of a more lucrative deal, either with the Bucks or someone else. Middleton is a great asset, and the Bucks could realistically keep him for the long haul or use him as a major trade piece. His offensive arsenal and ability to defend multiple positions makes him a good fit on virtually any team. At this point it appears the Bucks would be smart to gauge the market for interest in Bledsoe, whose play has been uninspiring lately. The career 33.4% three-point shooter still hoists 5.0 attempts per game from that distance. He’s often left wide open because of his known struggles as a shooter, and persists even on nights like Monday when he shot 1-for-8 on threes. A point guard who can’t shoot threes is not a good fit for Giannis, who plays best when he’s surrounded by shooters. Ultimately though, it’s hard to see the Bucks improving in the future unless they figure out their obvious problem with coaching. It’s hard to picture the Bucks being 8th in the East with an offense that efficiently weaponizes the abundant talent on the roster, and a defensive strategy that doesn’t look like it’s improvised nightly. It’s been a crazy week for organizational rumors on that front, with general manager Jon Horst yesterday expressly denying any rumors of looking for a replacement for Joe Prunty. In the same breath, he also shot down unverified rumors that Parker was close to being traded and had no future with the organization. Actions speak louder than words, and we will have to wait for the offseason to see if Parker will stay in Milwaukee.